Mary Jane Watson entered Peter Parker's world with a bang in The Amazing Spider-Man #25 . Since then, she has always been a major part of his life and — at one time — even his wife! 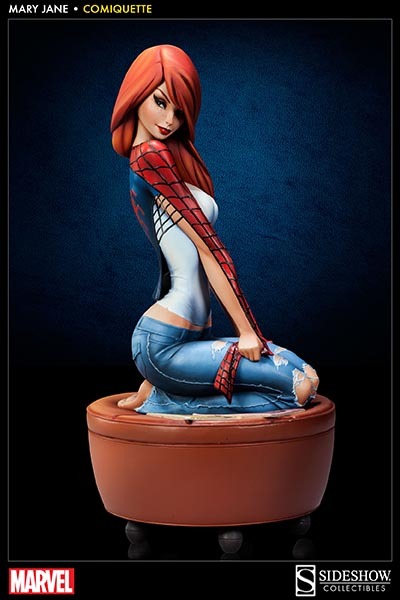 This beautiful statue is designed by J. Scott Campbell, sculpted by Steve Schumacher and painted by Kat Sapene. Cast in highy quality polystone, its dimensions are 11.5" H (292.1mm) x 5.75" W (146.05mm) x 5.75" D (146.05mm). 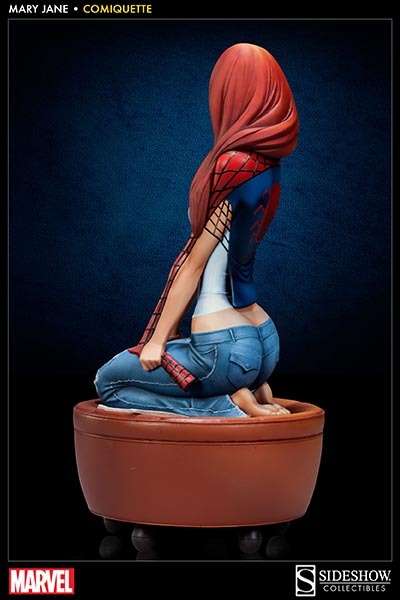 Add Mary Jane to your collection and gather the full set of three designs, including Spider-Man and Gwen Stacy, that fill out this spiderific group!